Ken Davidoff of Newsday is reporting that the Yankees main concern at this point is to come to terms with Damon, not Matsui. He also added that a deal with Pettitte should come. Damon’s agent, Scott Boras, is seeking a four year deal, while the Yankees are seeking, at most, a two year deal. Damon would love to come out of it with at least an option for a third year. The Giants and Cardinals could also give some attention to Damon. But it is unlikely that any team will commit to two years with the 36 year old Damon, who’s stolen bases were way down this season from last season. Damon is the clear better choice than Matsui. With the numbers Damon put up last year, he showed us that there is no sign that he is slowing down, and if there is a sign at all, it’s that he is getting even better. He gives the Yankees the option of playing the field, which Matsui does not. He could also slip into the DH spot if need be. 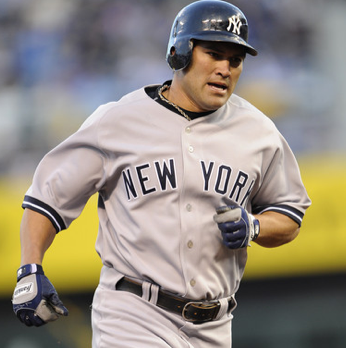 Bottom line, Johnny Damon is a Yankee, and he should go nowhere. Both players nab their second career Hank Aaron Award. Prior to game four of the World Series between the Yankees and the Phillies, MLB announced the 2009 winners of the Hank Aaron award. The Hank Aaron award recognizes the best overall hitter in each league. 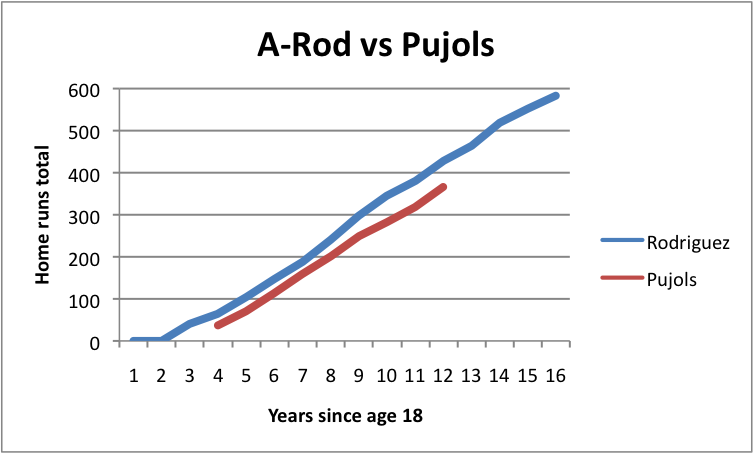 This year, it was Derek Jeter for the American League and Pujols for the National League. This was the second Aaron award for each player; Jeter won it in ’06 and Pujols in ’03. Pujols was not able to attend the conference because of his recovering from surgery. Pujols lead the Majors with 47 home runs this season. He also led in OBP, SLG and OPS. 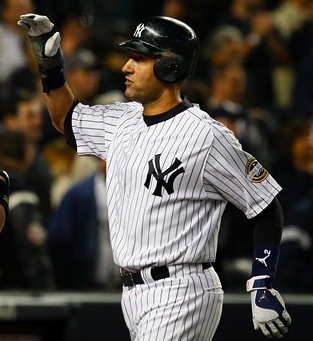 Jeter hit .334, his fourth best season of his career. The Rangers lost yesterday and the Red Sox clinched the American League Wild Card which means that the only possible teams that can play the Yankees in the first round are the Tigers or the Twins. It looks as though the Yankees will be playing the Tigers in the first round. With a Tigers win last night, in a great game by the way, the standings are as follows. realistically hope for, is a race until the end. If the Twins continue to stay on the Tigers tails, Verlander will be forced to pitch on the final day of the season and most likely won’t be able to pitch the first game of the playoffs. That would be a huge lift for the Yankees and would exponentially increase their chances of winning the first game, which also exponentially increases their chances to win the series. If he makes the start on the last day of the season, and the Tigers still decide to pitch him in the first game of the ALDS, Verlander would be going on 2 or 3 games rest, which he has never done in his career before. Also, if Verlander makes that start on the last day of the season, it would also affect the Yankees decision for which format they would want. If they picked the format with the 2 off days, the playoffs would start one day earlier, and the Verlander would be starting on just 2 days rest as opposed to three. That adds an advantage to that format. So here are the updated advantages to each format. 1. You only need two starters and can skip Joba Chamberlain. 3. If Verlander pitches the final day of the season, he would only be able to start the first game on 2 days rest and would likely start the second game. They both have their perks, but I would still pick the first format.